There’s a lot to be said about sensationalism and misreporting in today’s media market, but the Express took the biscuit today on what was evidently a slow news day for Hugh Whittow’s troops. First came the news that Britain was apparently set to turn its guns towards Brussels as Brexit negotiations heat up. 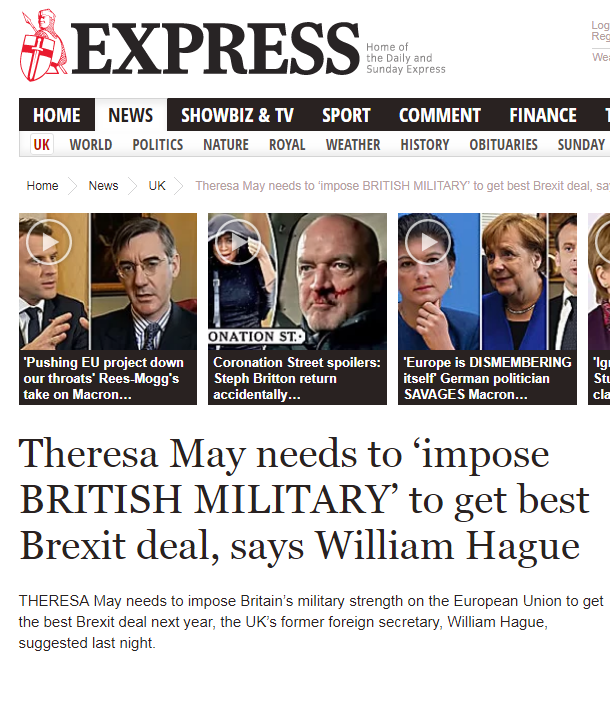 According to the right-wing rag Theresa May needs to “impose BRITISH MILITARY” to get best Brexit deal, in a blatant exaggeration of William Hague’s words. The UK’s former foreign secretary had actually made the argument that we want the EU to value our “contribution to the intelligence, diplomatic, and military resources of Europe collectively”, not turn them against it, as the headline would suggest. 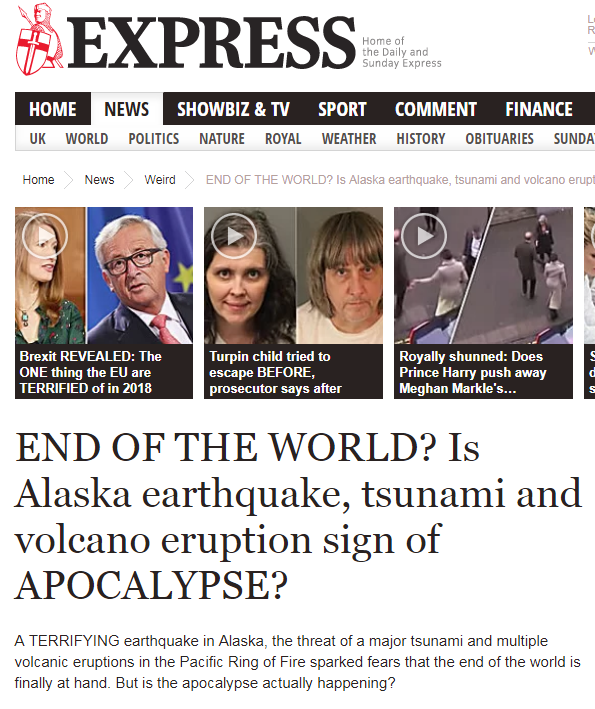 Then came reports that the end of the World is nigh after an earthquake of “monstrous magnitude” struck off the Alaskan coast. Tsunami warnings were issued shortly after the quake, but were cancelled shortly after to ease fears. 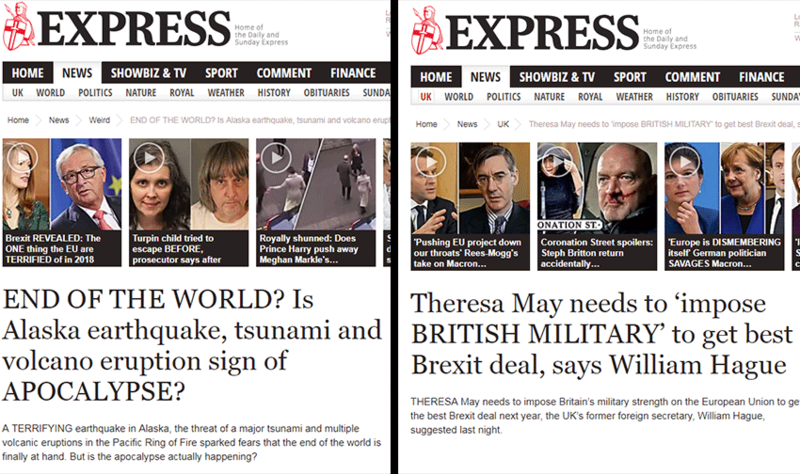 Not that it stopped The Express from running a fear-mongering doomsday headline, which shortly disappeared into the ether from its site. Previous PostNHS demise: Incompetence or a deliberate act of capitalist vandalism?